Fleas keeping you up at night? Your Pet’s bed can be a major breeding ground for fleas, which will migrate into other areas of your home. Try these practical tips for keeping Fido and Fluffy’s bed flea-free. Make a pet bed out of a washable material to easily banish fleas in the wash. 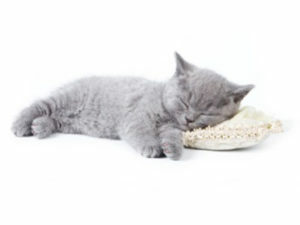 Most commercially made pet beds aren’t made to throw in the wash, so try buying inexpensive washable pillows. If you have a large pet, lay the pillows side by side to create a bed of the size needed and secure together with a few whip stitches. For added protection, you may wish to cover the pillow bed with an allergy blocking pillow case. The same material that blocks dust mite and other allergens will also prevent fleas from burrowing into the pillow. Finally, use a washable blanket to cover your newly constructed pet bed. The blanket can easily be washed anytime, between washings of the pillow base. The most important thing is to use the dryer to wash the pet bedding. The heat from the dryer will kill remaining fleas and their eggs. trol, so be sure to ask Dr. Cuesta for a specific recommendation for your Pet. 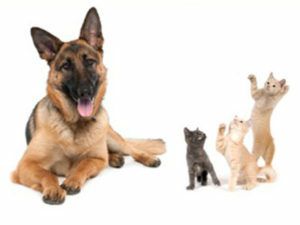 We also stock single month's supply of many Flea Prevention products. This can be a real help when budgeting, and we're always happy to see you and your Furry Friend drop by for a visit. Ain't no bugs on me!